A Diamond Select Toys Release! The DC Vinimates line returns to the world of DC Comics-inspired video games with three vinyl figures based on the world of Injustice! 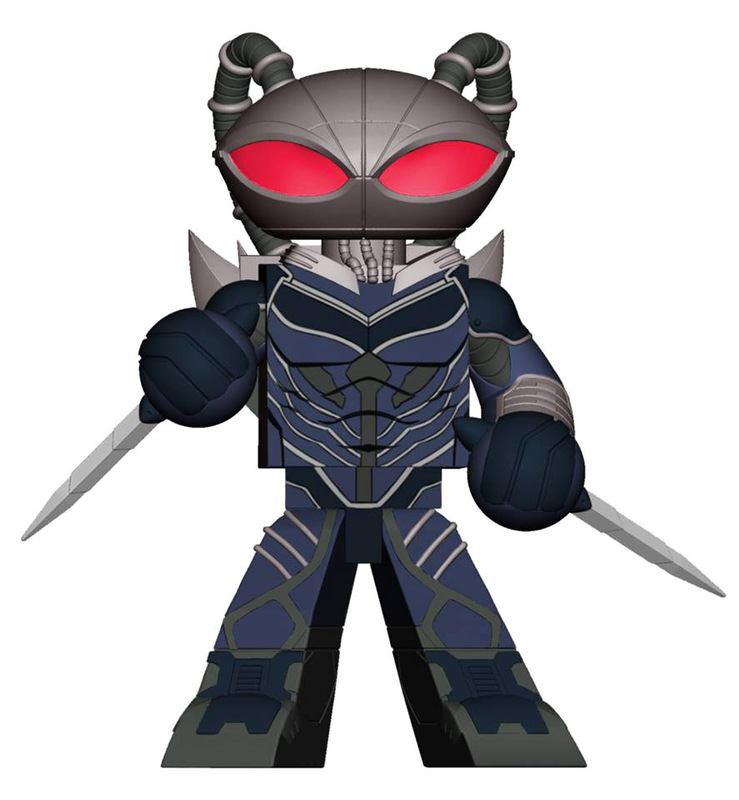 Batman, Black Manta and Harley Quinn each feature their game-specific outfits, with Black Manta wielding twin daggers and Harley Quinn packing a pistol. Each Vinimate stands approximately 4 inches tall and is sculpted in a block-figure style. Each comes packaged in a full-color window box.